This flock of hummingbirds will make the breeze sound like music to your ears. 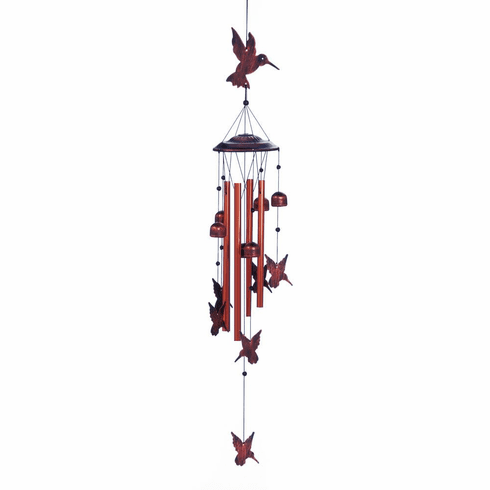 The long chimes and small bells of this wind chime are surrounded by beautiful hummingbird ornaments that you’ll enjoy throughout the seasons. Weight 0.6 pounds. 5" x 5" x 34" Iron. UPC Number: 849179034627.